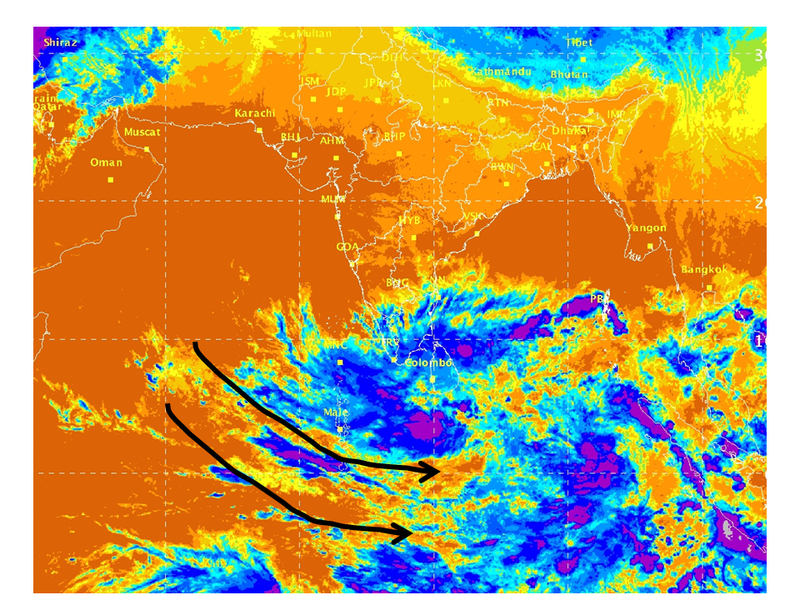 As expected a Low Pressure Area has formed in South West Bay, to the South East of Sri Lanka. The Low Pressure Area is showing some organization and convection is building up. Places in Sri Lanka would start receiving heavy rains starting tomorrow morning, while South Tamil Nadu would start receiving rains by tomorrow evening. 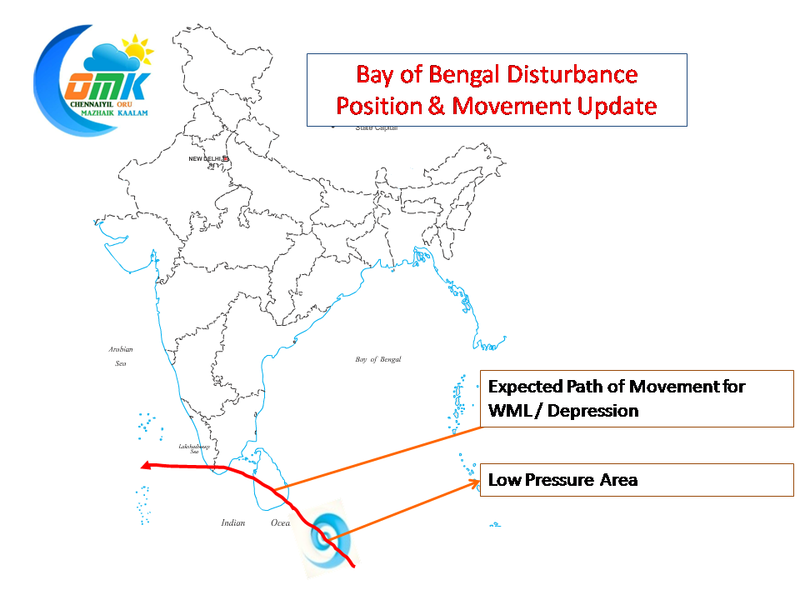 The disturbance may intensify into a Well Marked Low in the next 24 to 48 hours, it is very much possible it may stay as a Well Marked Low through its life cycle as it moves in a NNW direction initially and then a NW direction towards Arabian Sea. The quantum of rains that Tamil Nadu would receive from this Low Pressure Area would depend on how much Latitude it climbs over the next 2 days or so. The higher it climbs the better the rain prospects for Chennai. Having said that we feel our expectations should be tempered from this system until such time its clear of how close it is expected to come towards us. 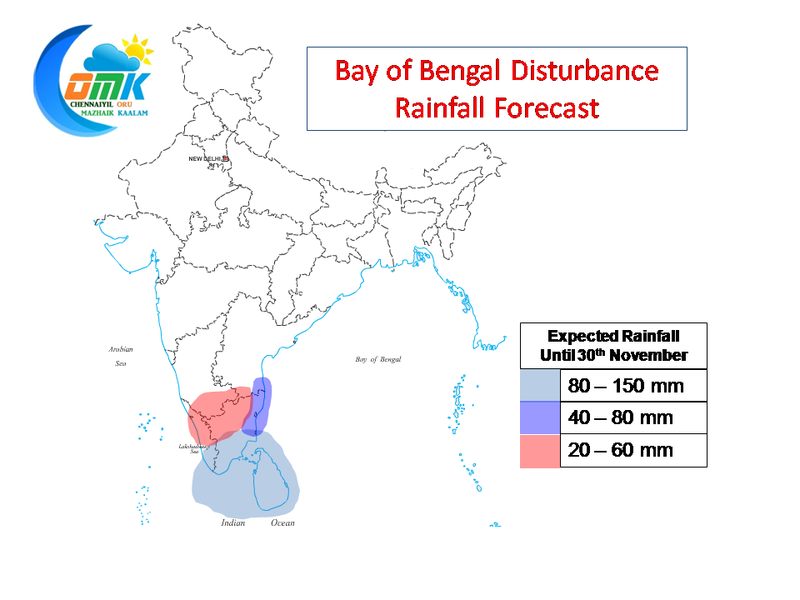 The rainfall expectations from this disturbance till 30th November would show the heavy rains are skewed towards South Tamil Nadu while North Coastal Tamil Nadu could get some decent showers.